EU procurement law is set out in four principal directives, namely the 2014 Public Contracts Directive, the 2014 Utilities Contracts Directive, the 2014 Concession Contracts Directive (together ‘the 2014 Procurement Directives’) and the Defence and Security Procurement Directive.2 Additionally, rules on remedies for breach of these four principal directives are set out, in respect of the 2014 Procurement Directives, in the Public Sector Remedies Directive and the Utilities Remedies Directive3 and, for defence, are written into the Defence and Security Procurement Directive. In this chapter, ‘the Directives’ means all six of these procurement directives. Member States were given until 18 April 2016 to transpose the 2014 Procurement Directives into national law. Overriding principles of EU law, referred to as the ‘Treaty principles’, have been developed by the Court of Justice of the European Union (CJEU) on the basis of freedoms in the EU Treaties. These principles include free movement of goods and services within the EU, freedom of establishment, non-discrimination on grounds of nationality, equal treatment, transparency, proportionality (i.e., fairness) and mutual recognition. In cases before the CJEU, the Court may decide that an official opinion from the Advocate General (AG) is necessary before the judges deliberate and give their verdict. The AG’s opinion is published and provides guidance on the law. Additionally, the EU has entered into various free trade agreements, so economic operators from certain other countries also benefit from the Directives. Rules similar to the Directives apply to purchasing by the institutions of the EU such as the Commission, the Council and the CJEU. This chapter does not further consider those special rules. The past year has seen a gradual development of procurement case law with no major changes. 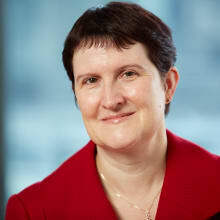 The CJEU has considered the definition of ‘bodies governed by public law’ (which must comply with the Directives) and in particular when a wholly owned subsidiary is ‘established for the specific purpose of meeting needs in the general interest’, not having an industrial or commercial character.8 The judgment appears to extend the definition by taking account of the general interest activities of the parent contracting authority. The CJEU has also considered an authority’s duty to investigate abnormally low tenders.13 In the absence of a definition of ‘abnormally low’ in the applicable EU legislation, it fell to the authority (in this case, the Commission operating under the rules applying to EU institutions, although the concept is similarly undefined in the Directives) to determine the method for identifying abnormally low tenders, provided that the method was objective and non-discriminatory. There was nothing to prevent a method that compared tender prices to the estimated budget and, where two bids were below the budget, it was permissible to investigate only the bid that was considerably lower. The Directives regulate most public sector entities as well as a significant number of privately owned utility companies. For convenience, we refer to all such entities as ‘authorities’. Private operators may, in limited circumstances, have to procure in accordance with the 2014 Public Contracts Directive; for example, where they award certain works contracts that are more than 50 per cent subsidised by authorities,18 in which case the authorities are obliged to secure compliance. Where a utilities market is directly exposed to competition and access to the market is not restricted, Member States may apply to the Commission for a derogation from the 2014 Utilities Contracts Directive for contracts in pursuit of activities in that market.20 Derogations have been granted to a number of Member States in respect of, for example, postal services, electricity, and oil and gas. The Defence and Security Procurement Directive applies to defence and security contracts awarded by authorities governed by the 2014 Utilities Contracts Directive or the 2014 Public Contracts Directive. Contracts for certain social and other specific services are regulated to a limited ‘light touch’ extent25 and, in particular, the obligation to follow one of the specified procedures does not apply, although one of the principal changes from the predecessor directives is that, above the thresholds, advertising and competition is required. These services include health, social, educational, social security and community services. Any service that is not expressly listed as being subject to the ‘light touch’ regime is fully regulated. There have been a number of CJEU cases deciding whether a transaction was properly classified as an (unregulated) land agreement or a (regulated) works contract.30 Often, the distinction turns on whether the economic operator is obliged to undertake the works31 or whether, while the parties envisage certain works being carried out, the economic operator is at liberty to construct something different or to leave the land undeveloped. In some exceptional cases, authorities may negotiate contracts with economic operators without prior advertisement,32 for example, in the case of extreme urgency following a failed procurement process or where, for technical reasons, the contract may be awarded only to a particular economic operator. These exceptions are narrowly construed. The Defence and Security Procurement Directive applies to contracts for the supply of military equipment, for works and services for military purposes and for the supply of equipment, works and services involving, requiring or containing classified information. Works and services concession contracts in these fields are covered by the 2014 Concession Contracts Directive (which also has provisions determining which rules govern the award of mixed contracts (involving elements covered by each of these Directives)). Where the Defence and Security Procurement Directive applies, neither the 2014 Utilities Contracts Directive nor the 2014 Public Contracts Directive apply. The most sensitive defence contracts may still be awarded outside the scope of the Defence and Security Procurement Directive. These concepts are generally not relevant to the award of works and services concessions, and are not dealt with explicitly in the 2014 Concession Contracts Directive. Authorities must not use framework agreements or DPS improperly to prevent, restrict or distort competition. Framework agreements may not generally last longer than four years (public sector), seven years (defence) or eight years (utilities). Framework agreements may be concluded with a single supplier or with multiple suppliers. When calling off from a multi-supplier framework, the authority either runs a ‘mini-competition’ to award each call-off contract or awards a call-off contract directly based on the terms of the framework agreement. Central purchasing bodies must be contracting authorities as defined by the 2014 Public Contracts Directive. In principle, the Directives do not apply to the setting up of a joint venture by one or more authorities (whether public–public or public–private), but they are relevant to any subsequent supply of goods, works or services by the joint venture to the authority or authorities (or to other authorities). A Commission Interpretative Communication40 on institutionalised public–private partnerships recommends that authorities should simultaneously advertise the selection of the joint venture partner and the award of a contract to the joint venture. Most procurement processes are formally commenced by publication of a contract notice. For the procurement of social and other specific services under the ‘light touch’ regime, and where the 2014 Concession Contracts Directive applies, no procedure is specified. Once bids have been submitted, equal treatment and fairness significantly limit the scope for bid amendments. Authorities may in certain cases seek clarification or allow bidders to correct obvious errors.52 However, in the case of bids in the open procedure or restricted procedure, or final tenders in the competitive procedure with negotiation or negotiated procedure with advertisement, this does not allow negotiation or the submission of what should be viewed as a new tender. The Directives do not prohibit non-EU suppliers from bidding for public contracts. The GPA requires providers from GPA states64 to be given the same treatment as is afforded to national providers. Certain types of contracts are outside the GPA, including contracts for health services and defence contracts. Except for central government procurement, which is open to all GPA businesses, other procurements are only open to the extent that the bidder’s home state allows EU undertakings access to government procurement. EU rules do not currently prevent non-EU access to public procurement, but restrictions may occur at Member State level. In practice, third-country businesses may be able to overcome any protectionist national rules if they bid through a subsidiary established within the EU. Authorities may assess bids on the basis of price or cost alone, taking a cost-effectiveness approach, or the best price–quality ratio to determine which is the most economically advantageous tender. Authorities must disclose, before receiving bids, the criteria that they will use for bid evaluation and the weightings of the criteria chosen.66 In general, the criteria and weightings should not be changed during the process. Authorities must act in a non-discriminatory manner; therefore, any ‘buy local’ policy is unlawful. There are limited ‘national interest’ exceptions in the Directives. For example, the Defence and Security Procurement Directive does not apply to contracts for the purpose of intelligence activities or that would oblige the Member State to supply information contrary to the essential interests of its security.71 These exceptions are narrowly construed. As a result of the principle of transparency, during the procurement process authorities must ensure that they give sufficient information to bidders to enable them properly to understand the authority’s requirements and to ensure a level playing field. They must also disclose the award criteria that they will use to mark bids. Under the Directives, authorities are required to notify bidders of decisions and supply certain information. When they make an award decision, they must then ‘stand still’ for a minimum of 10 calendar days before signing the contract.72 This period allows unsuccessful bidders time to bring a legal challenge to prevent contract signing if they consider that the award decision is unlawful. Notices of award decisions to bidders must include scores, and a narrative summary of the characteristics and relative advantages of the winning bid. Challenges to procurement decisions may be brought in the national courts. The cost, complexity and duration of these processes vary considerably from Member State to Member State. 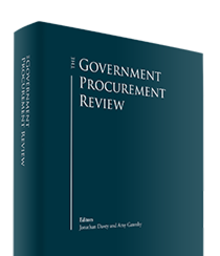 Rules governing challenges under the 2014 Procurement Directives are dealt with in the Public Sector Remedies Directive and the Utilities Remedies Directive, with those governing defence in the Defence and Security Procurement Directive itself. The Commission has reviewed the operation of these directives and has concluded that they are generally working well, so they will be maintained in their present form without further change at this stage.73 In this section, the general provisions common to all are considered and referred to as the ‘Remedies Provisions’, but references to article numbers are to articles of the Public Sector Remedies Directive. Member States must ensure that decisions taken by authorities ‘may be reviewed effectively’,74 and ‘as rapidly as possible’, in accordance with the Remedies Provisions.75 ‘Decisions’ are construed broadly and can include a decision to admit a bidder.76 Member States may decide who is to carry out such reviews (‘review body’). The nature of review bodies varies considerably between Member States, and no bidder should assume that the relevant review body will be the national court. Member States may require that a bidder first seek review with the authority, or that a bidder be required to notify the authority of its intention to seek review. The review body must be independent of the authority, and the Member State must provide that its decisions can be effectively enforced. If the review body is not the national court, then written reasons for the decision of the review body must be given, and there must be a further right of review by a court that is independent of both the review body and the contracting authority. It is for the Member State to decide on the relevant limitation period within which any application for review must be made. However, the right to bring a challenge must remain open after the deadline, where a reasonably well-informed and diligent bidder would only have understood the tender conditions after the authority had explained its decision.78 Member States may set a limitation period for claiming the remedy of ineffectiveness of at least 30 days from publication of a contract award notice and at least six months from the contract being concluded. Review procedures adopted by individual Member States have been challenged on occasion. This has led the CJEU to consider areas such as court fees, limitation periods and the availability of remedies. If the Commission considers that a serious infringement of Community law has been committed during a contract award procedure, it will notify the Member State, giving reasons, prior to a contract being concluded.79 The Member State must then either correct the infringement, give a reasoned submission as to why no correction has been made, or suspend the contract award procedure pending a decision as to whether to correct. The Remedies Provisions say little about the grounds for challenge by bidders, providing simply that infringements of ‘Community law in the field of public procurement or national rules transposing that law’80 can be challenged. This covers breaches of both national rules implementing the Directives and Treaty principles, such as equality, non-discrimination and transparency. c the power to award damages (compensation) to a person harmed by the infringement. c where a Member State has permitted award of contracts without a standstill period under a framework or DPS. Where the ineffectiveness remedy is not available, Member States may provide that once the contract has been concluded the only remedy available is damages. Member States can provide that the consequence of ineffectiveness is retroactive cancellation of all contractual obligations, or may limit cancellation to future obligations only. If the latter option is chosen, the Member State must provide for the application of alternative penalties. If the general interest is in upholding the contract, so that the review body decides not to declare a contract ineffective, it must provide for alternative penalties. Alternative penalties have to be effective, proportionate and dissuasive, and must be either the imposition of a fine on the authority, or shortening of the duration of the contract. In 2018, we will continue to see national activity across the EU as Member States take steps to facilitate the mandatory transition to electronic procurement in their respective territories for all contracting authorities and all procurement procedures by October 2018. This will include the implementation of electronic communication, electronic submission, electronic auctions and electronic catalogues. There are likely to be minor changes to the Directives as a result of the UK leaving the EU on 29 March 2019, such as the removal of UK-specific references. Negotiations on the terms of withdrawal and arrangements for the transitional period are ongoing. The draft withdrawal agreement provides for the Directives to continue to apply to ongoing UK procurements commenced prior to 31 December 2020, when the transitional period ends. However, the shape of the procurement regime that will apply between the remaining 27 EU member states and the UK in the long term will only become apparent once we have greater clarity on the terms of the post-Brexit trading relationship between the EU and the UK. 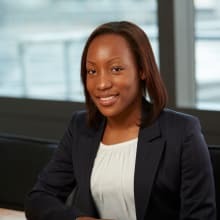 1 Clare Dwyer is a legal director, Michael Rainey is a managing associate and Kina Sinclair is an associate at Addleshaw Goddard LLP. 2 Directives 2014/24/EU, 2014/25/EU, 2014/23/EU and 2009/81/EC, respectively. 3 Directives 89/665/EEC (as amended by Directives 92/50/EEC and 2007/66/EC) and 92/13/EEC (as amended by Directives 2006/97/EC and 2007/66/EC), respectively. 4 C-106/89 Marleasing SA v. La Comercial Internacional de Alimentacion SA. 5 C-8/81 Becker v. Finanzamt Münster-Imenstadt. 6 With the exception of the Defence and Security Procurement Directive. 7 Articles 258 and 260 of the Treaty on the Functioning of the European Union and the Remedies Directives (e.g., Public Sector Remedies Directive, Article 3). 8 C-567/15 LitSpecMet UAB v. Vilniaus lokomotyvu remonto depas UAB and another. 9 C-223/16 Casertana Costruzioni Srl v. Ministero delle Infrastrutture e dei Trasporti. 10 C 76/16 INGSTEEL spol. sro and Metrostav as v. Úrad pre verejné obstarávanie. 11 C-387/14 Esaprojekt sp. z o.o. v. Województwo Łódzkie. 12 C-178/16 Impresa di Costruzioni Ing. E. Mantovani SpA, Guerrato SpA v. Provincia autonoma di Bolzano and others. 13 C-198/16 Agriconsulting Europe v. European Commission. 14 C-523/16 and C-536/16 MA.T.I. SUD SpA v. Società Centostazioni SpA; and Duemme SGR SpA v. Associazione Cassa Nazionale di Previdenza e Assistenza in favore dei Ragionieri e Periti Commerciali. 15 European Commission Press Release IP/17/4771 (7 December 2017). 23 See Commission Delegated Regulation (EU) 2017/2365 of 18 December 2017 amending Directive 2014/24/EU (2014 Public Contracts Directive), Commission Delegated Regulation (EU) 2017/2364 of 18 December 2017 amending Directive 2014/25/EU (2014 Utilities Contracts Directive), Commission Delegated Regulation (EU) 2017/2366 of 18 December 2017 amending Directive 2014/23/EU (2014 Concession Contracts Directive) and Commission Regulation (EU) 2017/2367 of 18 December 2017 amending Directive 2009/81/EC (Defence and Security Procurement Directive). 24 For example, 2014 Public Contracts Directive, Article 5. 25 2014 Public Contracts Directive, Article 74 and Annex XIV, 2014 Utilities Contracts Directive, Article 91 and Annex XVII. Some (but not all) of these services are also subject to lighter regulation under the Defence and Security Procurement Directive, Article 16 and Annex II. 26 For example, 2014 Public Contracts Directive, Article 10(a). 27 For example, 2014 Public Contracts Directive, Article 10(g). 28 For example, 2014 Public Contracts Directive, Article 14. 29 For example, 2014 Public Contracts Directive, Article 10(e). 30 For example, C-220/05 Jean Auroux and others v. Commune de Roanne. 31 C-451/08 Helmut Müller GmbH v. Bundesanstalt für Immobilienaufgaben. 32 For example, 2014 Public Contracts Directive, Article 32. 33 C-454/06 pressetext Nachrichtenagentur GmbH v. Republic of Austria and others. The 2014 Procurement Directives codify and amplify the case law (e.g., the 2014 Public Contracts Directive, Article 72). 34 See C-324/98 Telaustria Verlags GmbH and another v. Telekom Austria AG, Commission interpretative communication on the Community law applicable to contract awards not or not fully subject to the provisions of the Public Procurement Directives, OJEU 2006/C 179/02 (1 August 2006), and T-258/06 Germany v. Commission. 35 C-393/06 Ing Aigner, Wasser-Wärme-Umwelt GmbH v. Fernwärme Wien GmbH. 36 Respectively, Articles 33, 51 and 29. 37 Respectively, Articles 37, 55 and 10. 38 Respectively, Articles 52 and 34. 40 Commission interpretative communication on the application of Community law on Public Procurement and Concessions to Institutionalised Public-Private Partnerships (IPPP), C (2007) 6661 (5 February 2008). 41 C-107/98 Teckal Srl v. Comune di Viano and another; C-324/07 Coditel Brabant SA v. Commune d’Uccle and another; Hamburg Waste (C-480/06 Commission v. Germany). This case law is codified and amplified under the 2014 Procurement Directives, e.g., 2014 Public Contracts Directive, Article 12. 42 Articles 29 and 30. 44 For example, 2014 Public Contracts Directive, Article 27. 45 For example, 2014 Public Contracts Directive, Article 28. 46 For example, 2014 Public Contracts Directive, Article 30. 47 2014 Public Contracts Directive, Article 29. 48 For example, 2014 Utilities Contracts Directive, Article 47. 49 For example, 2014 Public Contracts Directive, Article 31. 50 For example, 2014 Public Contracts Directive, Article 32. 51 For example, 2014 Public Contracts Directive, Articles 27 to 31 and 47. 52 2014 Public Contracts Directive, Article 56(3) and 2014 Utilities Contracts Directive, Article 76(4). While there is no explicit provision in the 2014 Concession Contracts Directive or in the Defence and Security Procurement Directive the same rules would be expected to apply under the Treaty principles to amendments during procedures governed by those Directives. 53 For example, 2014 Public Contracts Directive, Article 30(6). 54 For example, 2014 Public Contracts Directive, Article 30(7). 55 For example, 2014 Public Contracts Directive, Article 57. 56 For example, 2014 Public Contracts Directive, Article 58(2). 57 For example, 2014 Public Contracts Directive, Article 58(3). 58 For example, 2014 Public Contracts Directive, Article 58(4). 59 For example, 2014 Public Contracts Directive, Article 63. 60 For example, the 2014 Public Contracts Directive, Article 24. 61 See T-160/03 AFCon Management Consultants and others v. Commission, which was decided under internal Commission rules but the principles in the case are likely to apply to the Defence and Security Procurement Directive. 62 For example, the 2014 Public Contracts Directive, Articles 41 and 57(4)(f). 63 See joined cases C-21/03 and C-34/03 Fabricom SA v. Belgium, Paragraphs 25 to 36. 64 In addition to the 28 EU Member States, the other GPA states are Armenia, Canada, Hong Kong, Iceland, Israel, Japan, Republic of Korea, Liechtenstein, Moldova, Montenegro, the Netherlands (with respect to Aruba), New Zealand, Norway, Singapore, Switzerland, Chinese Taipei, Ukraine and the United States. A revised and expanded GPA, modernising certain aspects of its rules, entered into force on 6 April 2014. 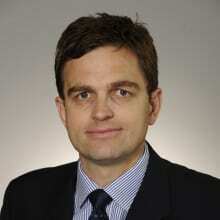 65 2014 Utilities Contracts Directive, Article 85. 66 For example, 2014 Public Contracts Directive, Article 67; C-532/06 Emm G Lianakis AE and others v. Dimos Alexandroupolis and others, Paragraphs 36 to 38. 67 For example, 2014 Public Contracts Directive, Article 69. 68 For example, 2014 Public Contracts Directive, Article 42(3), (4) and (5). 69 This is codified in, for example, the 2014 Public Contracts Directive, Articles 18(2) and 56(1), which permit authorities to exclude bidders that do not comply with their obligations in the fields of environmental, social and labour law. 70 See C-448/01 EVN AG and Wienstrom GmbH v. Austria, where the bidder was required to show it supplied volumes of ‘green’ electricity that went far beyond the authority’s actual requirement. The CJEU held this was unlawful. 71 Article 13(a) and (b). See also 2014 Public Contracts Directive, Article 15. 72 For example, Public Sector Remedies Directive, Article 2a. 73 European Commission: Report to the European Parliament and the Council on the effectiveness of Directives 89/665/EEC and 92/13/EEC as modified by Directive 2007/66/EC concerning review procedures in the area of public procurement (24 January 2017). 74 See C-440/13 Croce Amica One Italia Srl v. Azienda Regionale Emergenza Urgenza (AREU). The purpose of the review is to ensure that the EU public procurement rules are complied with, so that a simple examination of whether the decision is arbitrary will not suffice. 76 C-391/15 Marina del Mediterraneo, SL v. Consejeria de Obras Publicas y Vivienda de la Junta de Andalucia (5 April 2017). 77 C-355/15 Bietergemeinschaft Technische Gebäudebetreuung GesmbH und Caverion Österreich GmbH v. Universität für Bodenkultur Wien, VAMED Management und Service GmbH & Co. KG in Wien. 78 C-583/13 eVigilo Ltd v. Priesgaisrines apsaugos ir gelbejimo departamentas prie Vidaus reikalu ministerijos. 81 See national chapters for details of numbers and prospects for challenge.